Boxer sales, technical, and visionary representatives will be at IBC working with leading brands such as Ooyala, GVG, Telestream, Newtek, Leader, Adder, Dell-EMC, plus Embrionix, V-Nova, Colorfront, and IPtec to discuss how to turn disruption into money-making action. Jayson Chase, commercial director at Boxer Systems said, “Artificial Intelligence (AI) and Machine Learning (ML) have received a lot of attention in the past 12 months and at IBC we’ll start seeing real tools that will make demonstrable use of analytics to monitise vast volumes of disparate data. The question of data utilisation is a big one for Boxer and its customers, primarily because there is so much of it, and that volume is only heading in one direction. 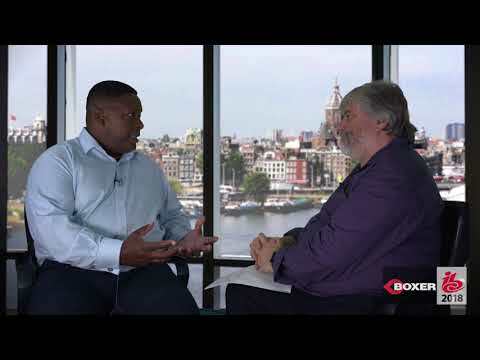 Boxer and its partners at IBC will help customers wrap their arms – and heads – around how to identify, analyse, and embrace trends, rather than face the uncertainty of a disruptive wave of bits and bytes. Chase said, “We have recently partnered with Qumulo, a US-based pioneer in cloud-based and on-premise file storage systems with expertise in data analytics. Our customers not only have on-premise storage, but storage and apps that run fully in the cloud. The key is to seamlessly manage both elements. AI and ML are just two of the key components that can help manage and identify data pinch points and balance those areas more effectively and efficiently. Boxer Systems is renowned for providing objective, independent guidance with the sole purpose of ensuring that they are using the right tools and technologies now, and in the future. Boxer Systems has worked for more than 25 years in the broadcast and post-production arenas, supplying equipment and integrated systems to a range of clients including: Arqiva, BBC, BSkyB, Thomson Reuters, Channel 4, Perform Group, ITV, ITN, The Mill, MPC, Technicolor, Travel Channel and Liverpool FCTV. Boxer Systems has confirmed its commitment to providing quality products and services by becoming ISO 9001:2008 registered and continuing external assessment ensures a consistently high level of service.